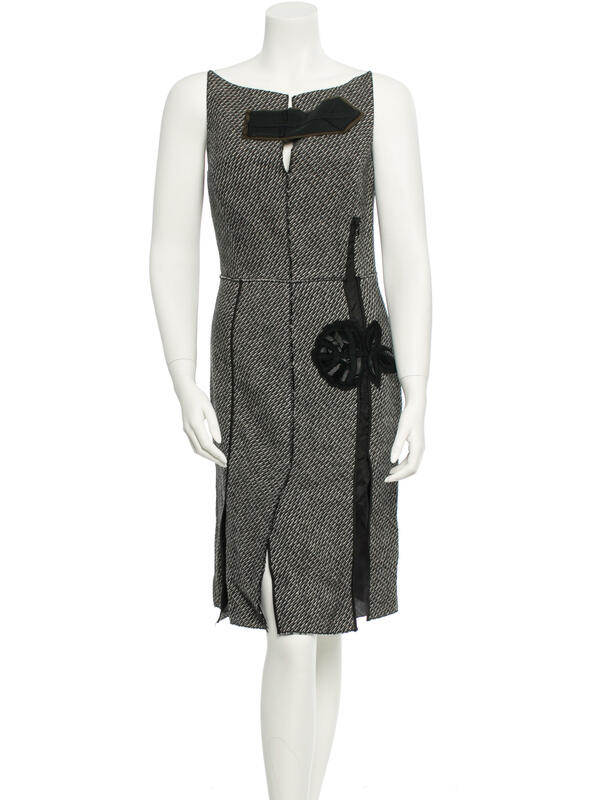 And it was to craft a dress along the lines of this adorable Prada dress. Well I adore it! I love the way Prada can take quite simple ideas for construction and then just add a few different details and touches of embellishment to elevate a simple garment to a completely contemporary and fashion-forward creation. 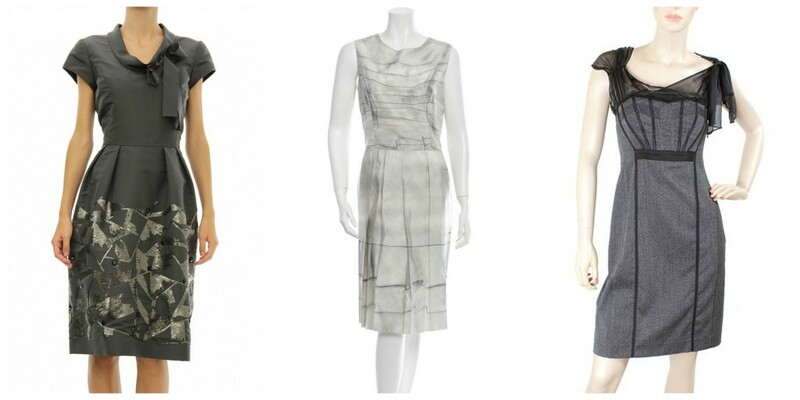 I thought this fabric print with subtle etched black flowers against the dark grey pattern would lend itself really well to plain black embellishments shown in this Prada dress. And this silk is substantial too, with lots of weight and body, which I always like with dresses as they fall so well then. So as I said, this is a double silk crepe de chine. It is completely opaque, has a soft hand and will handle volume brilliantly because of the weight and draping qualities of the fabric. The print features a very fine etched/filigree background, like the cracks and rivets you see breaking open in drought-affected soils. Overlaid are stylised flower motifs, with the inner flower mirroring the filigree patterning of the background. 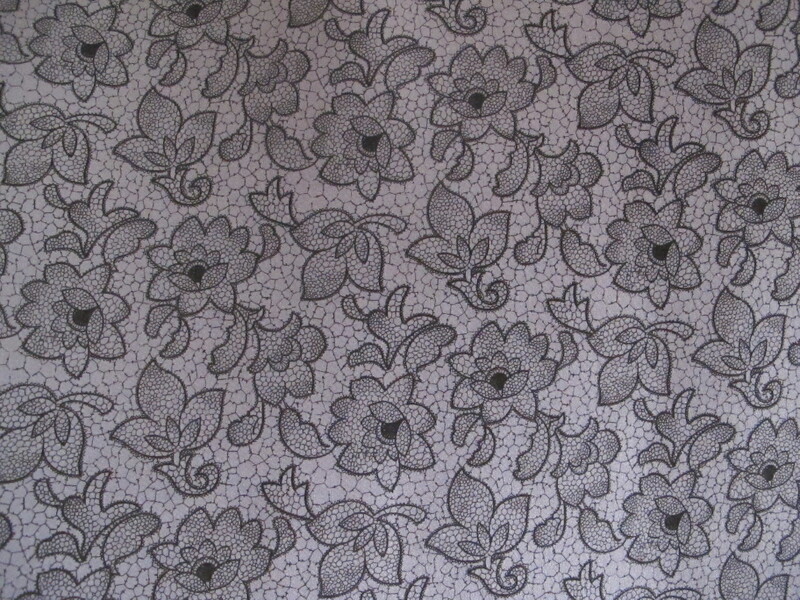 It is a simple pattern but with a lot of subtle details. 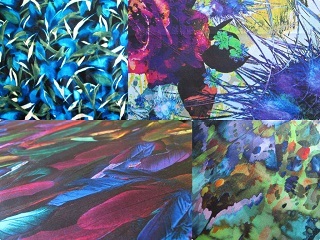 This fabric hails from my fabric mecca. Even if I was still sewing with passion, with the crash of the Aussie $$ against the US it is unlikely I would be shopping in the garment district now, or online. That’s only going to become even more expensive when the GST hits the online sales. But anyway, I am still marking my fabric as if the AU/US $$ had parity (which they didn’t most of the time when I bought) and doing some deep discounting too. 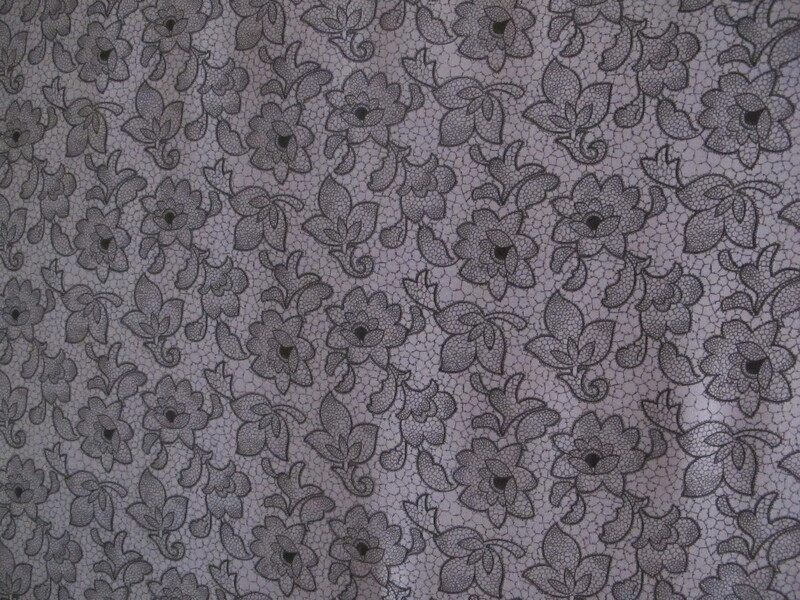 This silk is 118cm wide, and the length is 3.4 metres. 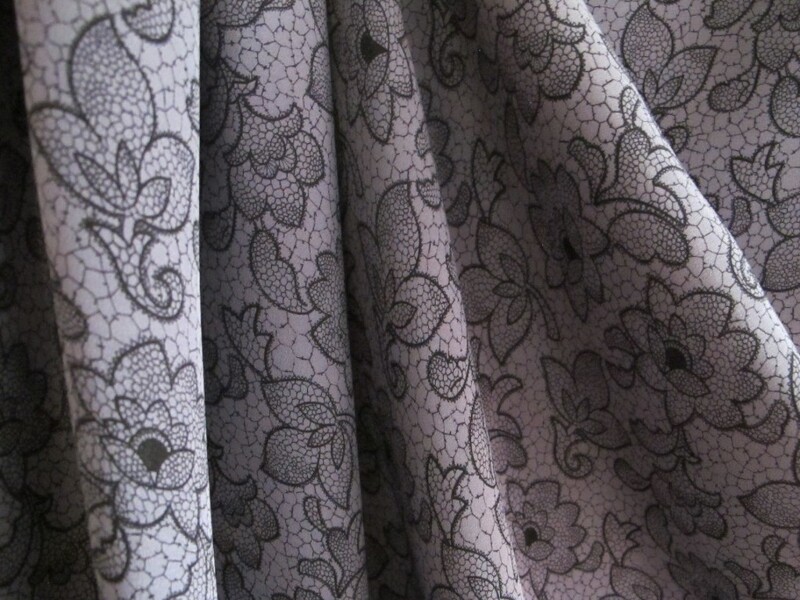 Fabric connoisseurs will know that double silk crepe de chine sell for high prices and I didn’t stint on this piece, but I am going to put it up for $27 a metre/$86.40 for the piece. 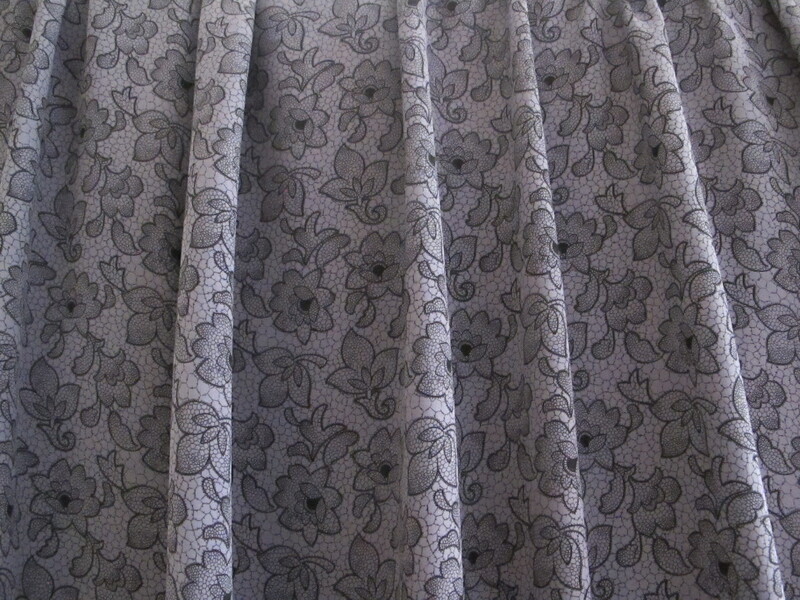 It is a weightier fabric so I will need to send this one in the medium sized satchel for $13.40. Please see here for full details on payment and posting. If interested, please click on the email link below; fabric details will appear automatically and I will get back to you asap. (Australia delivery only thanks).